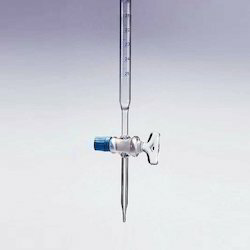 We are a leading Manufacturer of laboratory bell jars, laboratory pipettes, laboratory petri dishes, laboratory funnels, laboratory measuring cylinders and laboratory burettes from Hyderabad, India. 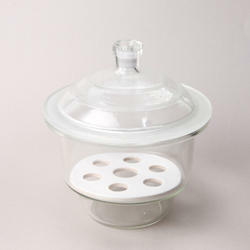 Laboratory Jars offered comprises GI-7997 jars that are available in bell shape with a round bottom and perfectly grounded edges. We make these available in quality glass finish that makes these suitable for conducting scientific experiments in areas like chemistry and biology laboratories. Further, these jars come with properties like transparent & superior heat-resistance. Here, our expertise also lies in customizing these jars in a wide variety of glass as well as plastic finish as per the suitability in particular lab applications. Offered comprise Laboratory Pipettes that find application in artificial insemination processes for cattle and come with taper tip finish. Here, our expertise lies in making these available in machine-drawn quality tubing support with the option of one end of the pipette in blunt as well as fire-polished finish and other end coming in smooth tapered and fire polished finish. Further, we can also customize these as demanded by customers. 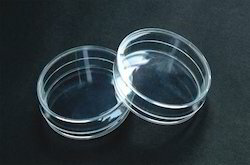 Laboratory Petri Dishes offered is made available by us under different model options including GI-4271 dishes for culture, petri and I-4272 dishes tops only for petri dishes. These dishes come with flat top finish as well as stacking rings provision that allows for easier stacking and handling. Further, it’s easy-grip style also allows it to be picked up without possibility of accidentally removal of the lid. These can be made available in different material finishes including from borosilicate glass and find common usage for culturing bacteria in microbiology lab. 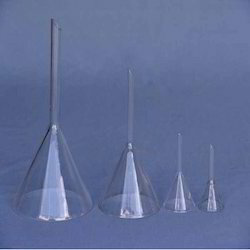 Laboratory Funnels offered are made available by us under different model options including GI-7251 plain funnels that come with 60 degree angle long stem; GI-7331 funnels that come with powder, short stem and GI-7451 funnels for separation in globe shape with stopcock and stopper provision. Finding application in chemical laboratory, these find usage with support of filter paper for removing fine particles from liquid through filtration process. 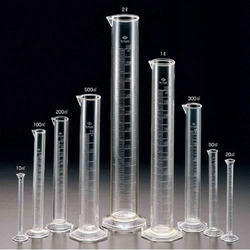 Laboratory Measuring Cylinders offered are used for color comparison and come with graduated markings as well as feature penny head stopper class A and hexagonal base. These cylinders can be used for any application from clinical to research and are used by institutions engaged in carrying out laboratory procedures. Laboratory Burettes offered is made available by us under models GI-3234 and GI-3232 burettes rotaflo that comes fitted with rotaflo general purpose screw thread stopcocks featuring PTFE keys, Class A. 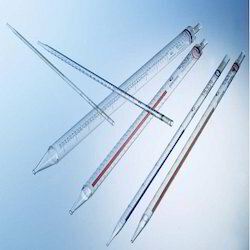 As vertical cylindrical piece of laboratory glassware, it comes with volumetric graduation that is etched on its full length as well as tap/stopcock with plug and bore support at bottom. Its usage includes for dispensing known amount of liquid reagent in experiments where precision is required. 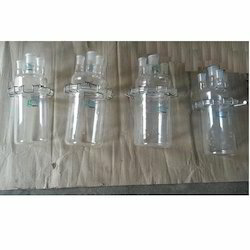 Laboratory Beakers offered is made available under model GI-2111 Griffin beakers that are low form and come with spout support. For efficient laboratory performance, these beakers are manufactured in compliance to ISO and DIN standards and come with uniform wall thickness. Further, these can also be offered with reinforced walls and rims giving that provides for better durability and reliable performance. Being the leaders in the industry, we present Laboratory Desiccators of fine quality. Laboratory Kettles offered comprise GI-7058 kettles that find application for carrying out resin reaction applications. Here, our expertise lies in making these available in different capacities with options of interchangeable covers as well as with four openings for accommodating of 24/29 interchangeable joints and one 34/35 interchangeable joint. Further, our expertise also lies in making these available in customized finishes as demanded by the customers. Laboratory Glass Stoppers offered comprise GI-8681 stoppers that come with interchangeable ground joint, hollow and penny head finish. Made available in quality black rubber compound, these stoppers find application in scientific areas. Further, the material used is soft, pliable as well as long lasting. We can make these stoppers available in one-hole and two-hole finish options which can further be customized as demanded by the customers. 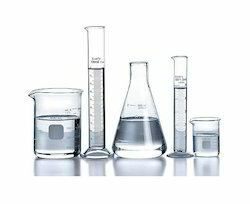 Some areas these are used in include labware bottles, boiler tubes, flasks, test tubes and others. Laboratory Ground Joints offered are made available by us under different model options including GI-7671 ground joints for inner parts and GI-7691 ground joints for outer parts only. These ground glass joints find application in a laboratory setup for quickly fitting of leak-tight apparatus using commonly available parts. For ensuring secure connections of hollow inner spaces of glassware components, these ground glass joints come in hollow finish from the inside and open at ends. 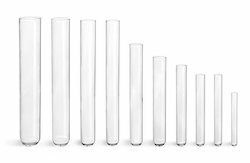 Laboratory Glass Test Tube Featuring durable finish, these laboratory tubes find application in carrying small quantities of chemicals and ingredients that are part of the experimentation and testing. Further, these are available in light finish and are ideally suited for use in freezers, incubators, refrigerators, on bench tops and other similar areas. Empowered by our levels of exquisite professionals, we are engaged in offering a wide grade of Laboratory Glassware that is widely used in varied laboratories and scientific institutes. Provided glasswares are manufactured using high grade basic material and sophisticated technique by our proficient professionals in line with the set market parameters. Further, these glasswares are available in various customized options as per the specific requirements of the clients. We offer these glasswares to our clients at market-leading prices. 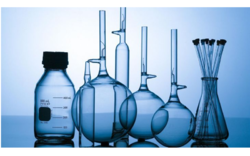 With the support and assistance of our team of our team of experts, we are engaged in offering a premium grade of Laboratory Glassware for R and D Centers that is used in labs. The offered glassware is manufactured by using premium quality glass and high tech tools in compliance with set international standards by our qualified experts. 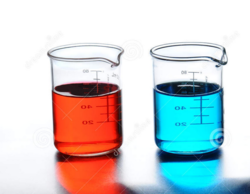 Our offered glassware is broadly used to perform various chemical reactions. 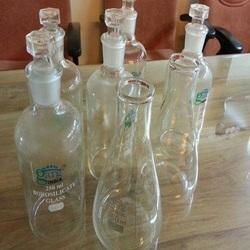 Besides this, offered glassware is available at market-leading prices in the market. 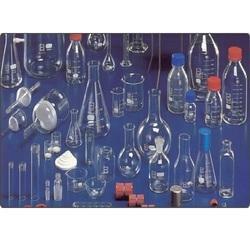 We are dedicatedly occupied with offering a subjective evaluation of Lab Glassware. Offered glass is unequivocally made utilizing quality tried essential material and forefront procedures by our talented experts. Additionally, gave glass is broadly acknowledged in the businesses for its different quality properties like not break effectively and smooth completion. 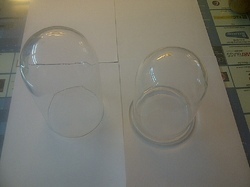 Our quality masters test this glass against different parameters to guarantee its faultlessness. Additionally, we offer this glass to our customer's at the most ostensible costs. 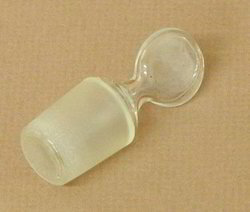 Our company has been dedicate manufacturing Glass Labware in the market. These products provided from our side are widely used in laboratories, scientific research and applications. The lab ware is used in a number of different scientific experiments and is used for a number of measuring, analyzing and resulting tasks. These come with a superb material to withstand the rigors that normally happen in the lab and come in different sizes as well.